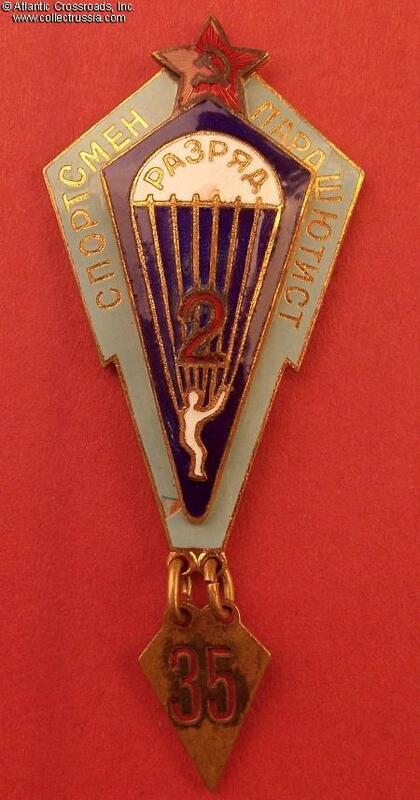 Parachutist-Sportsman badge, 2nd class, late 1940s - 1950s. 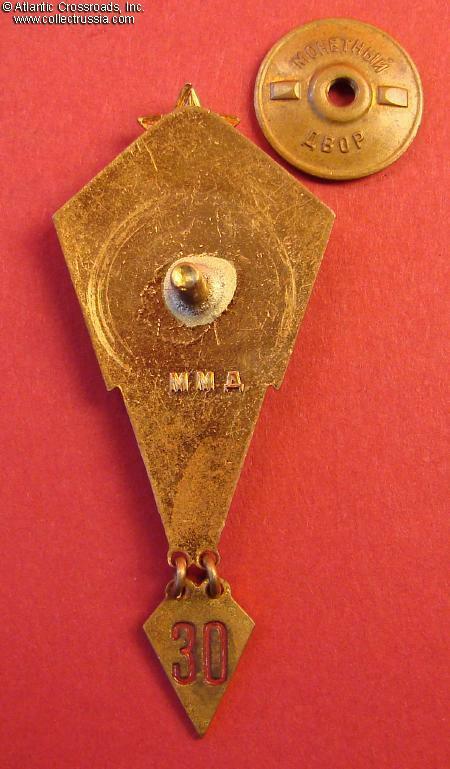 Brass and enamels; 45.4 mm tall (not including the pendant), 25.7 mm wide. 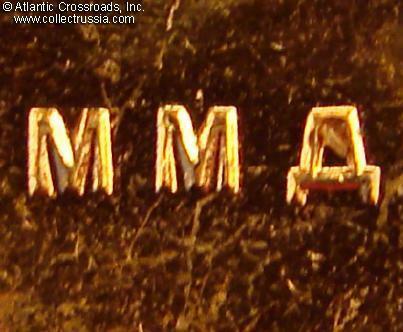 Mint marked "MMD" (Moscow Mint) in raised characters on the reverse. Excellent quality. 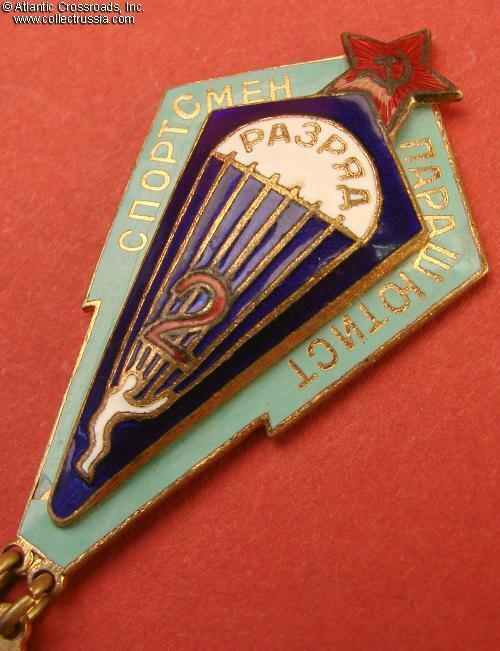 Consists of an M 1936 parachute badge superimposed on a larger turquoise diamond-shaped back plate. Red figure "2" in the middle of the parachute cords, and Russian word for class at the canopy. Comes with original pendant for 30/35 jumps. In very fine condition. 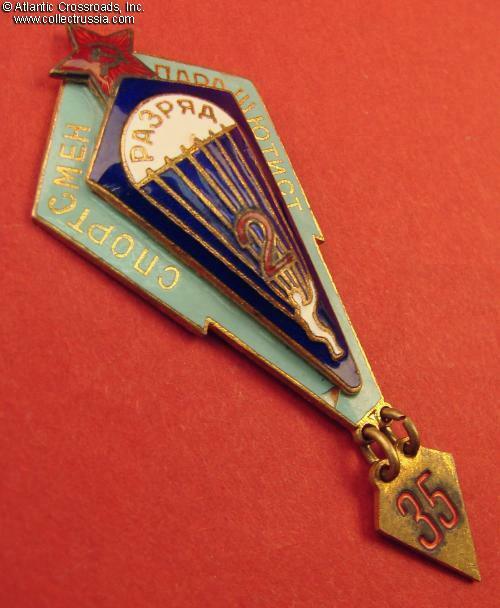 There is a small chip to the turquoise enamel to the left of the lower tip of the blue parachute, and another, barely noticeable chip to the white parachute canopy near its horizontal bottom edge. The damage is minimal and limited to just these two spots, the enamel is otherwise perfect and shows very attractive luster. 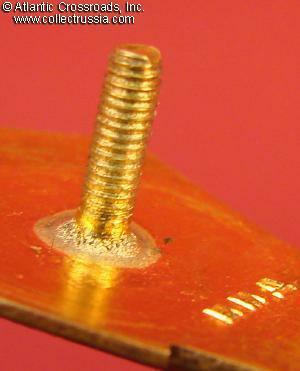 The screw post is full or near full length, over 9.5 mm. Includes original mint marked screw plate.